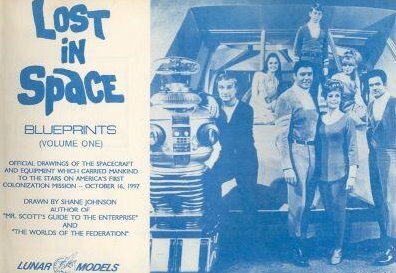 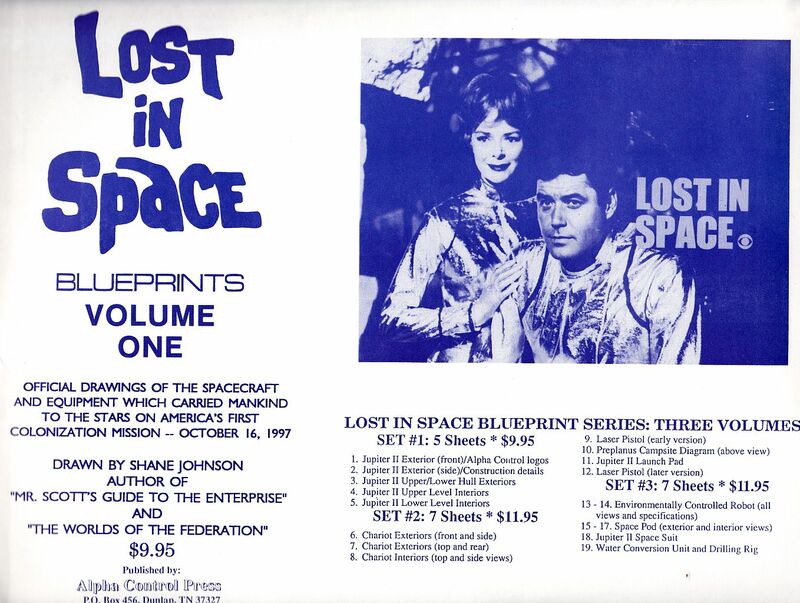 This set of Lost In Space Blueprints Volume One were published by Alpha Control Press and copyrighted by Shane Johnson in 1991. 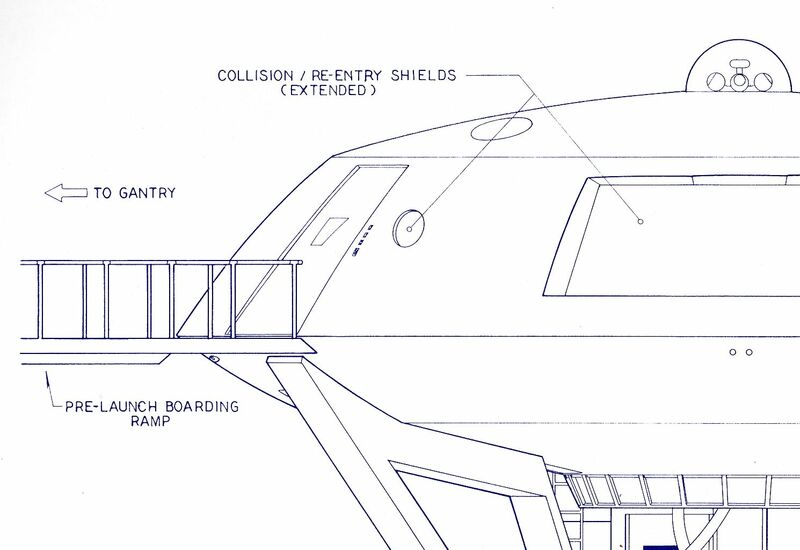 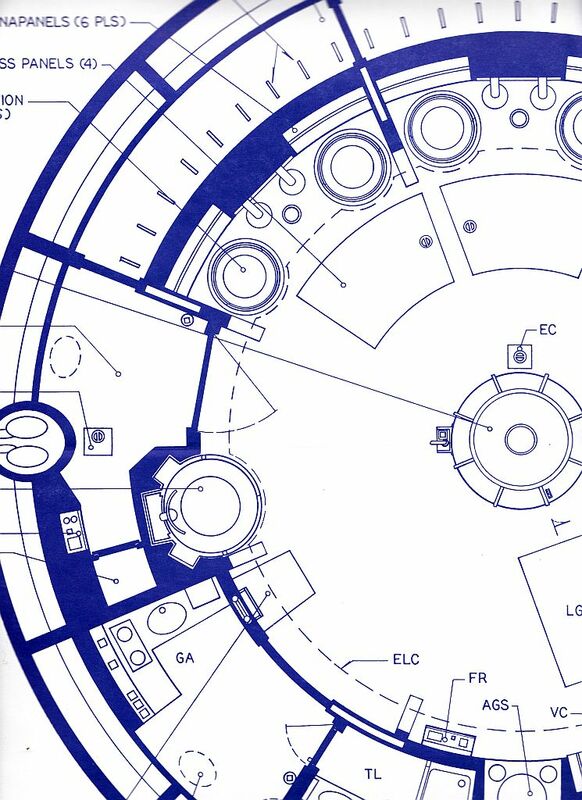 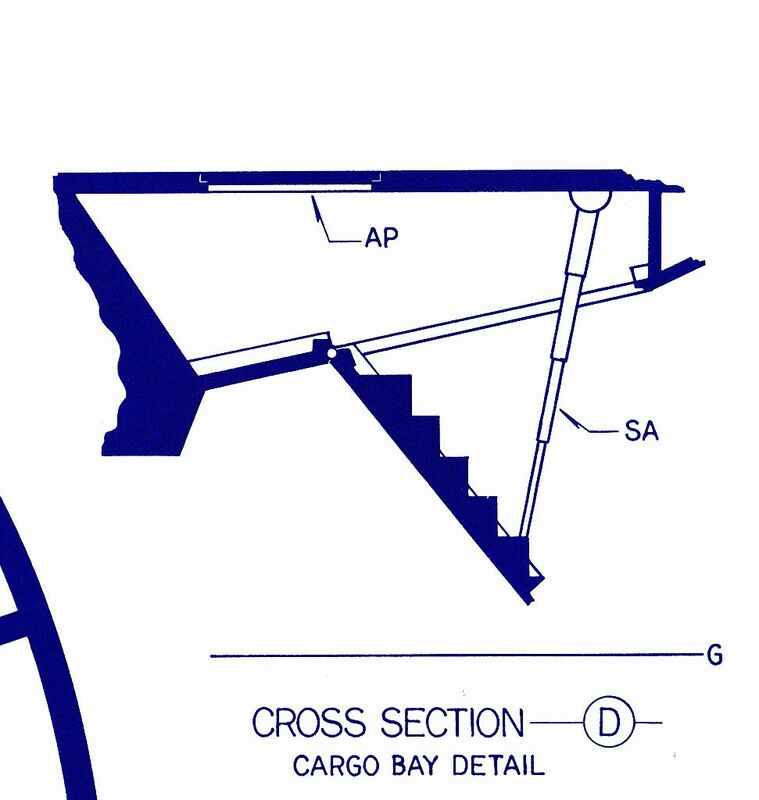 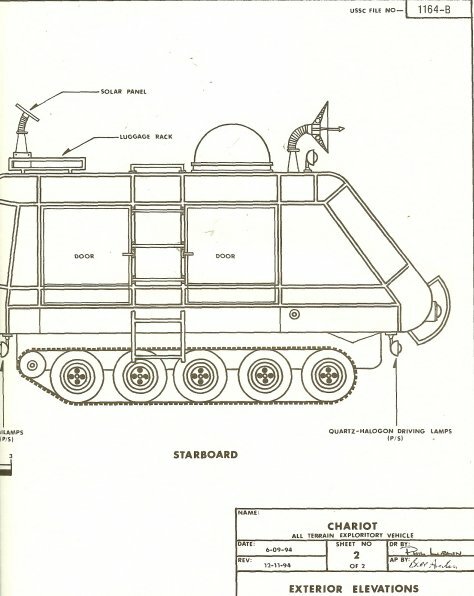 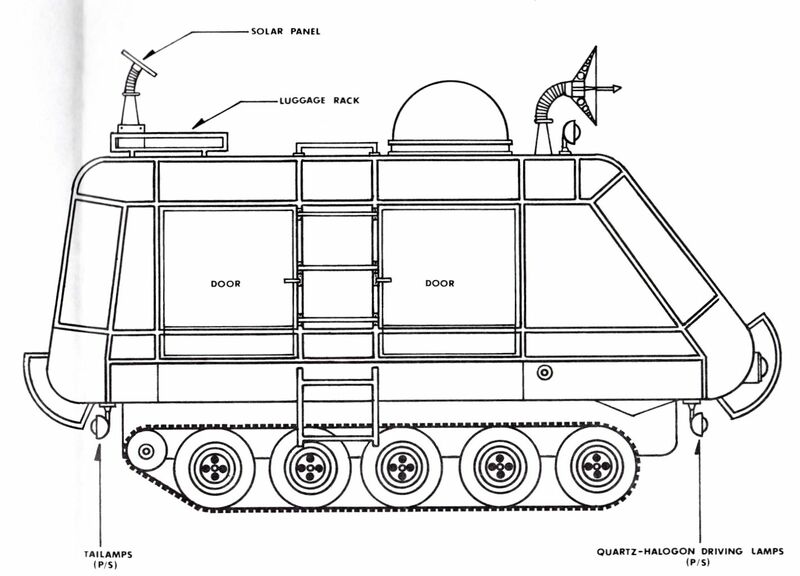 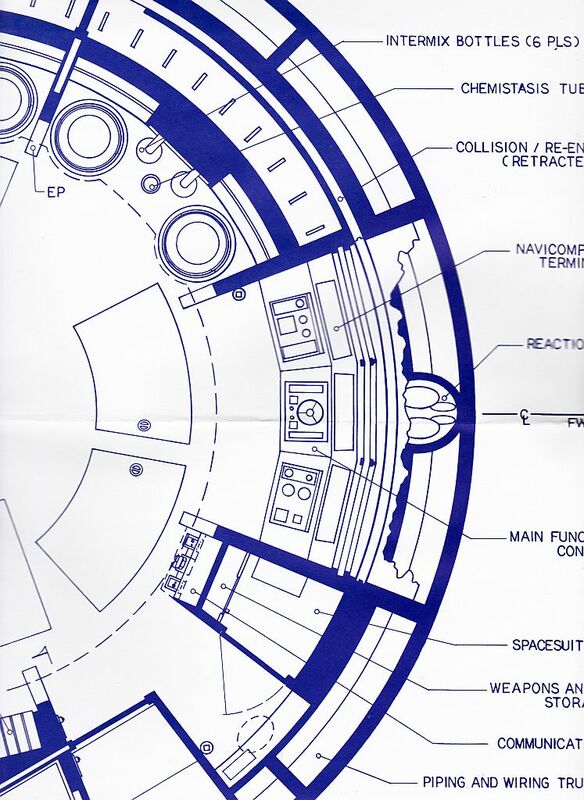 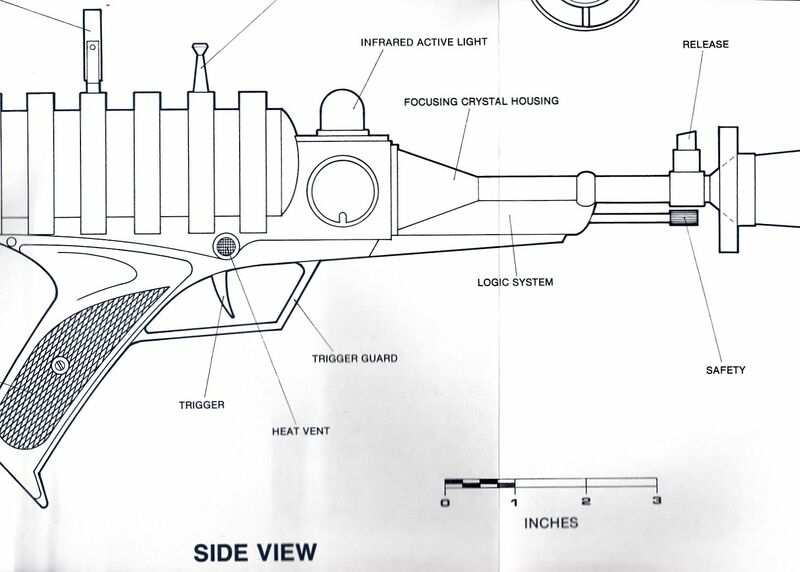 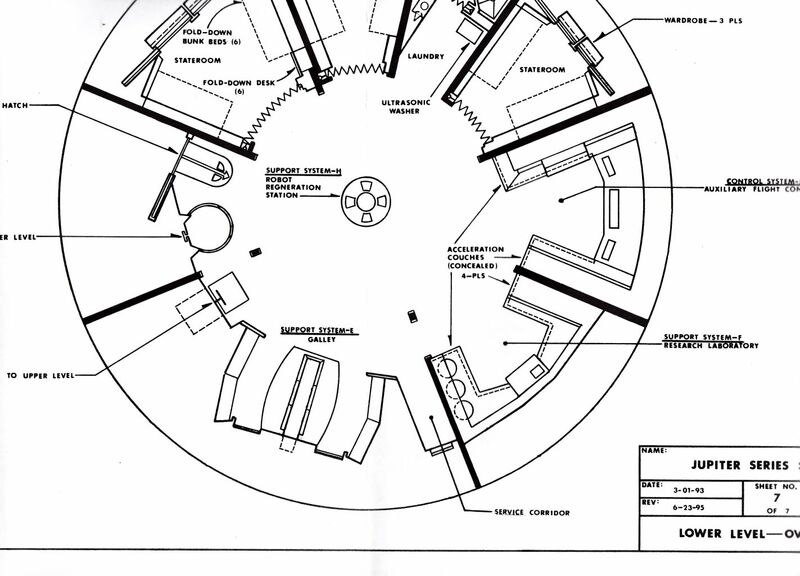 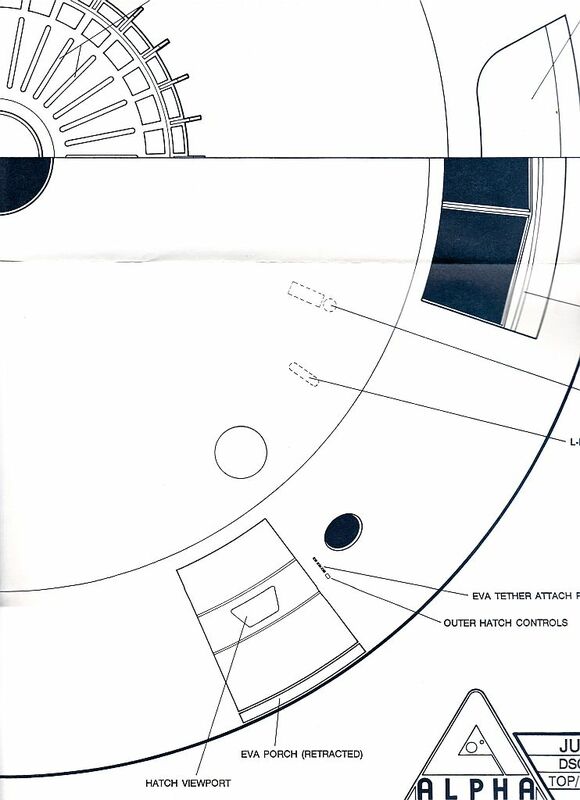 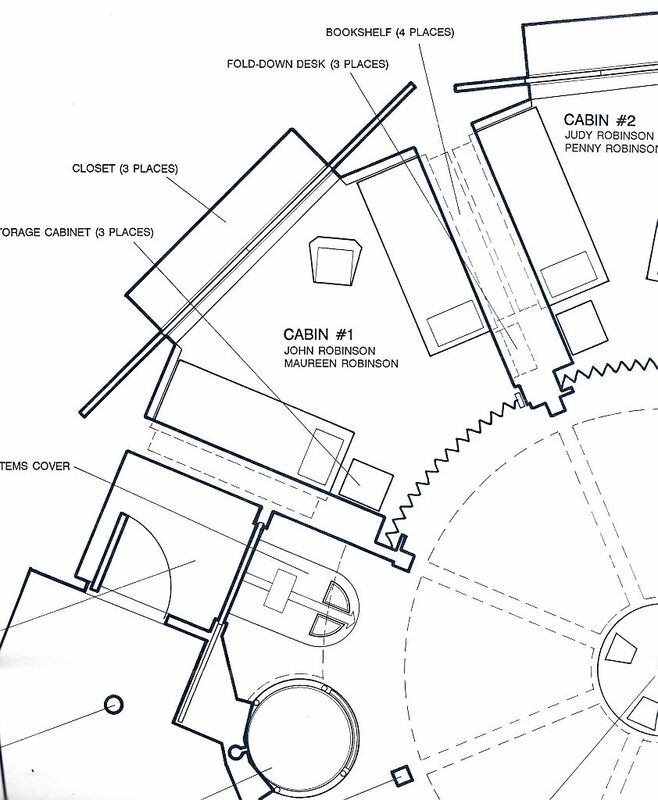 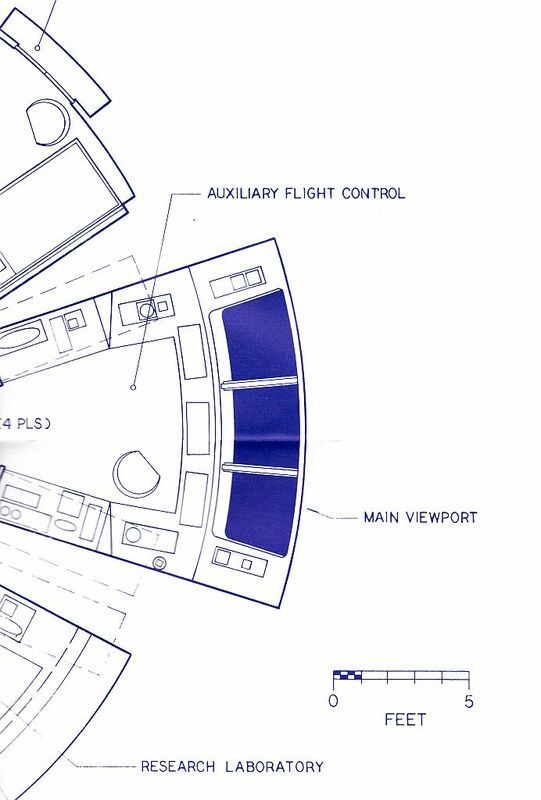 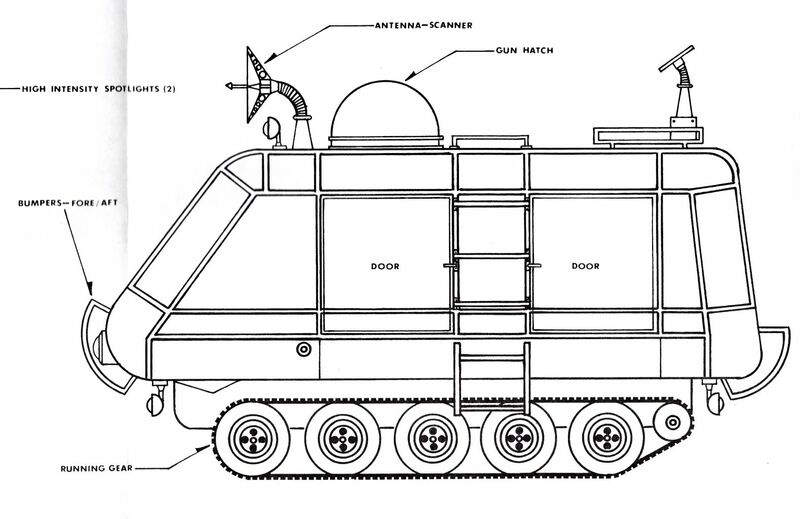 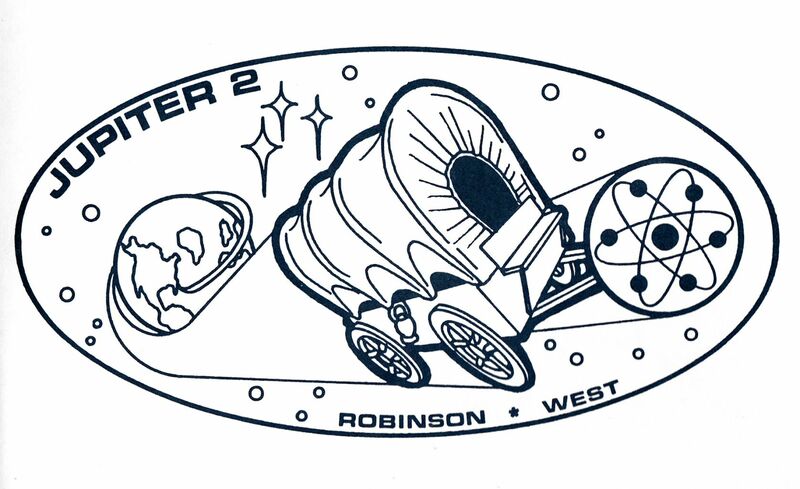 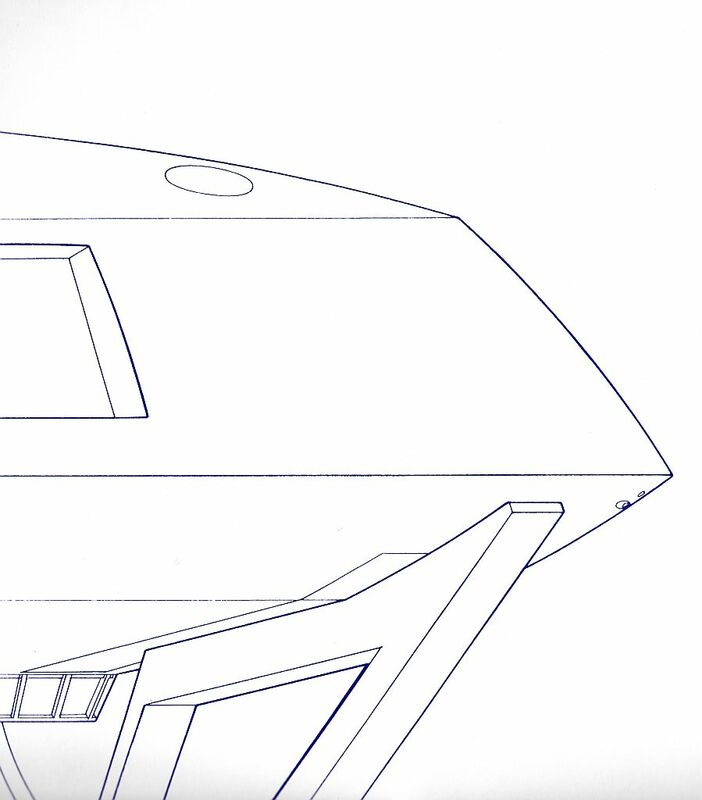 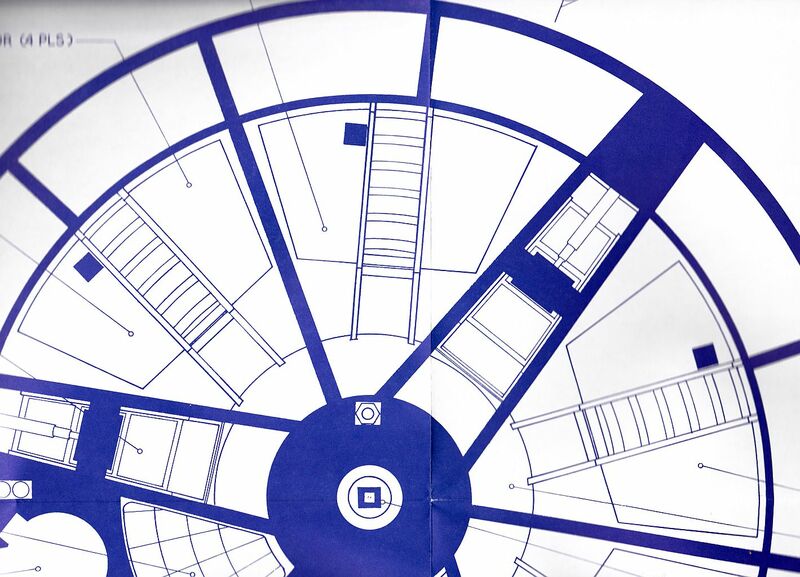 Volume Two consists of seven 18 x 24 large sheets that feature the Chariot exteriors (front and side), Chariot exteriors (top and rear), Chariots interiors (top and side views), Laser Pistol (first season), Laser Pistol (third season), Jupiter-2 Launch Pad, and Preplanus campsite diagram. 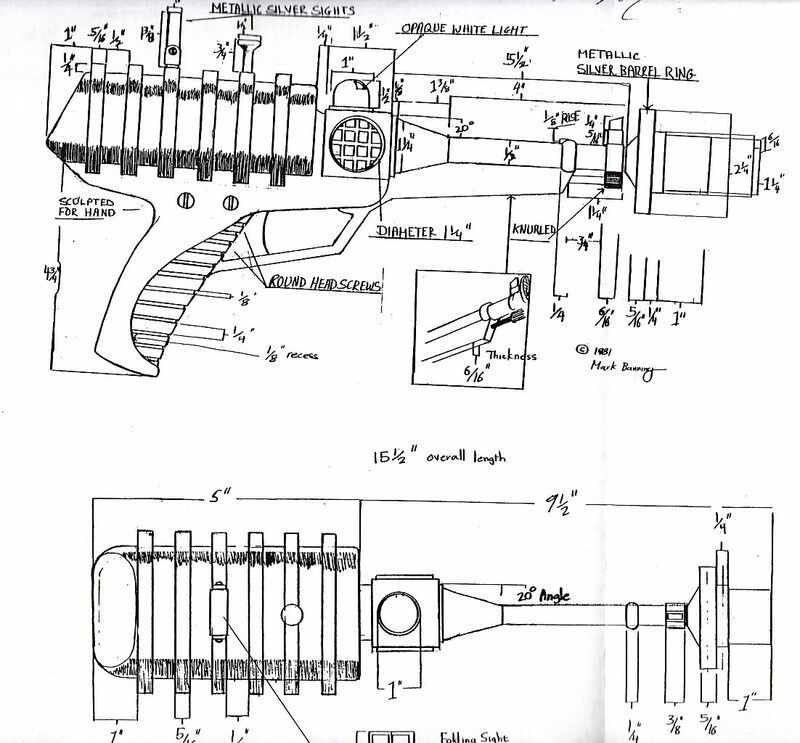 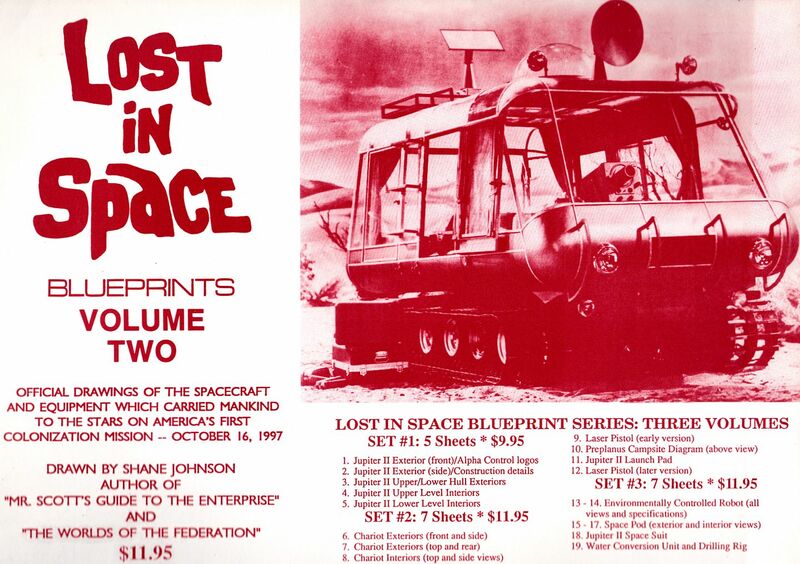 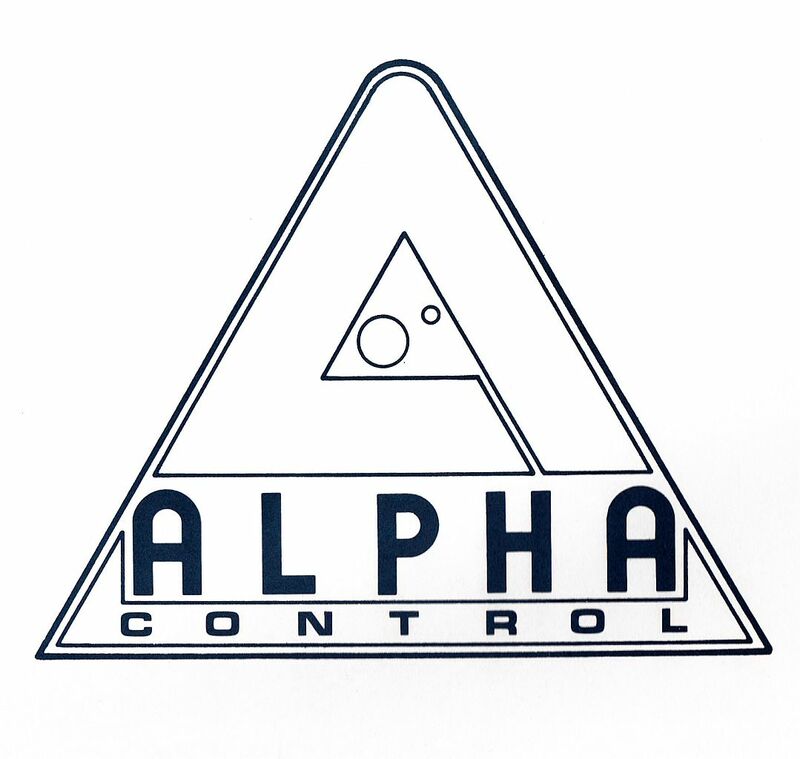 This set of Lost In Space Blueprints Volume Three were published by Alpha Control Press and copyrighted by Shane Johnson in 1991. 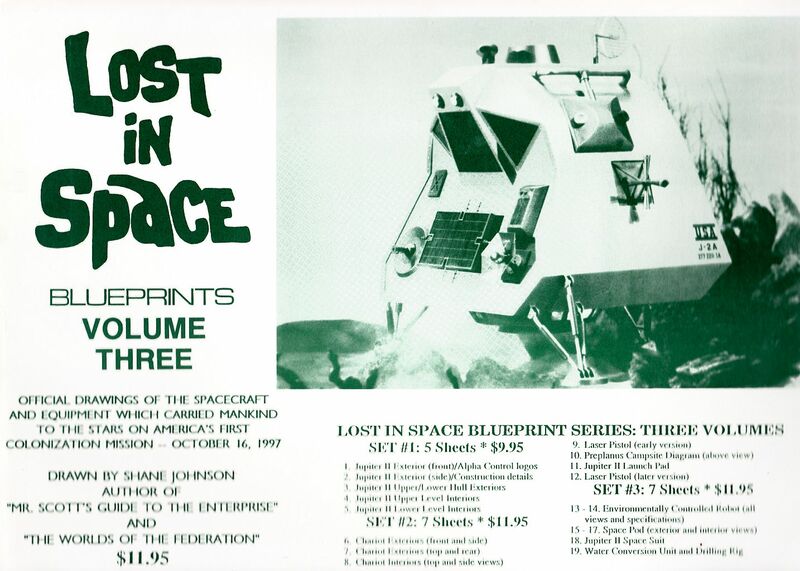 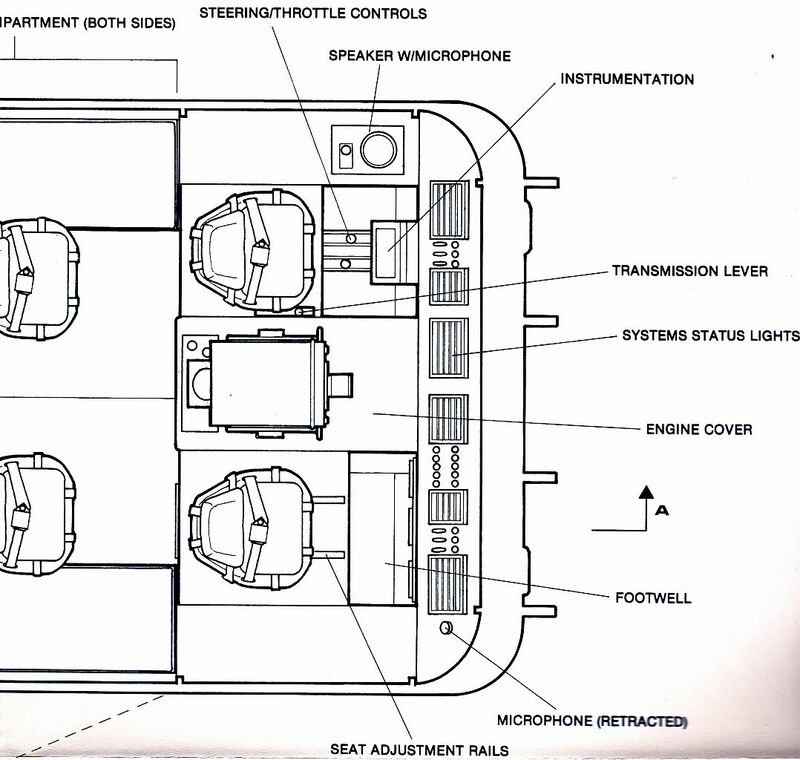 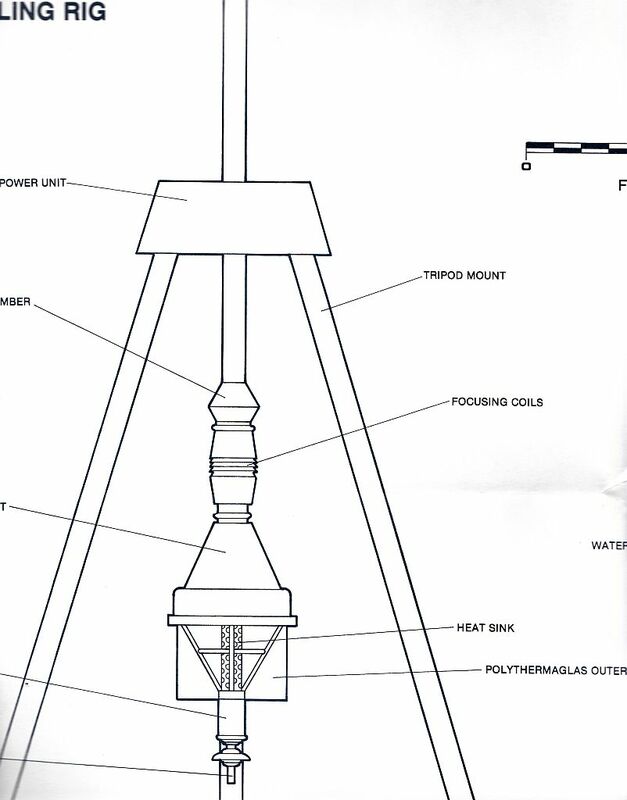 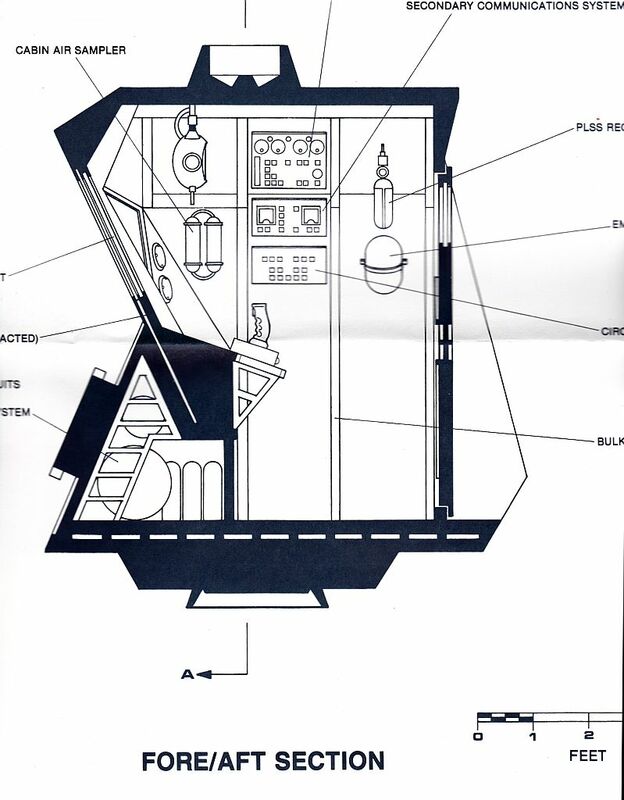 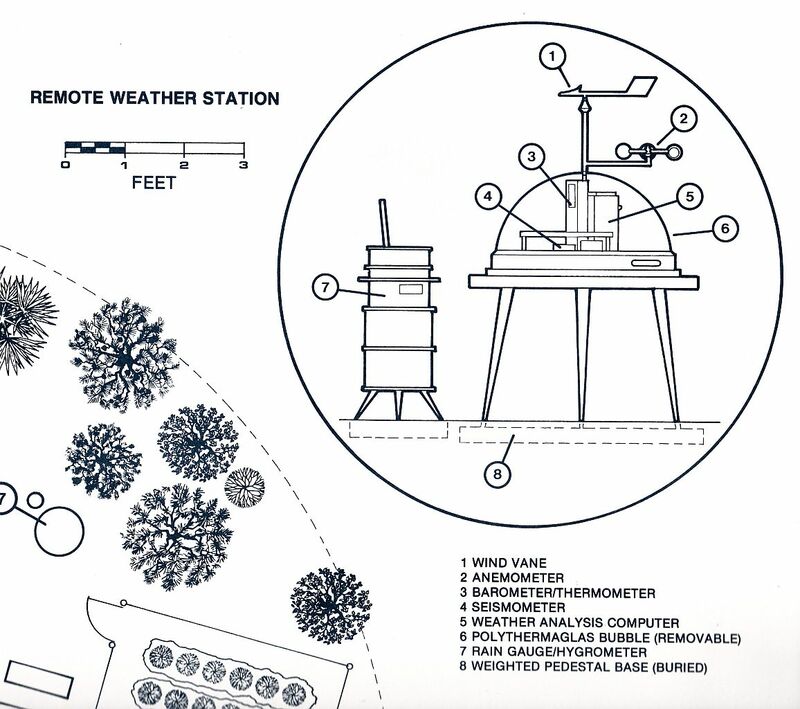 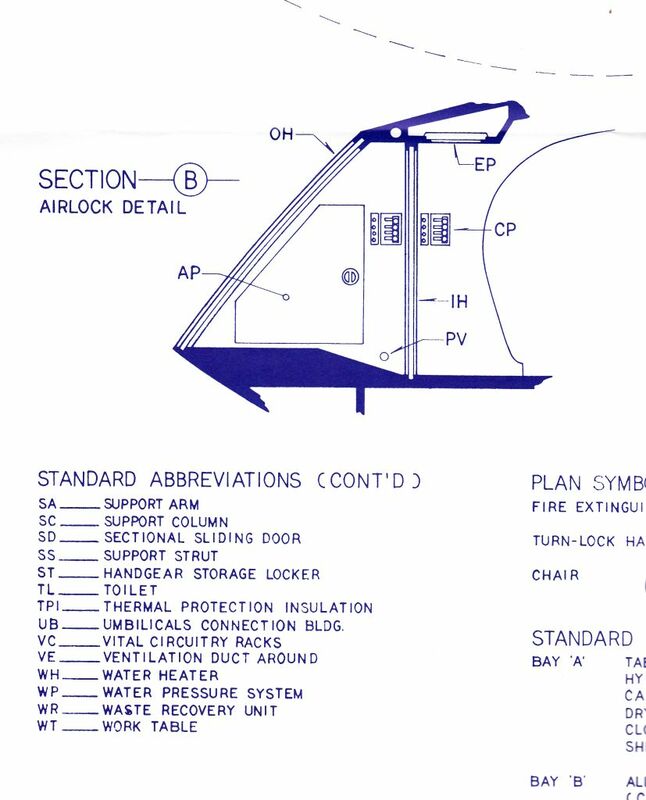 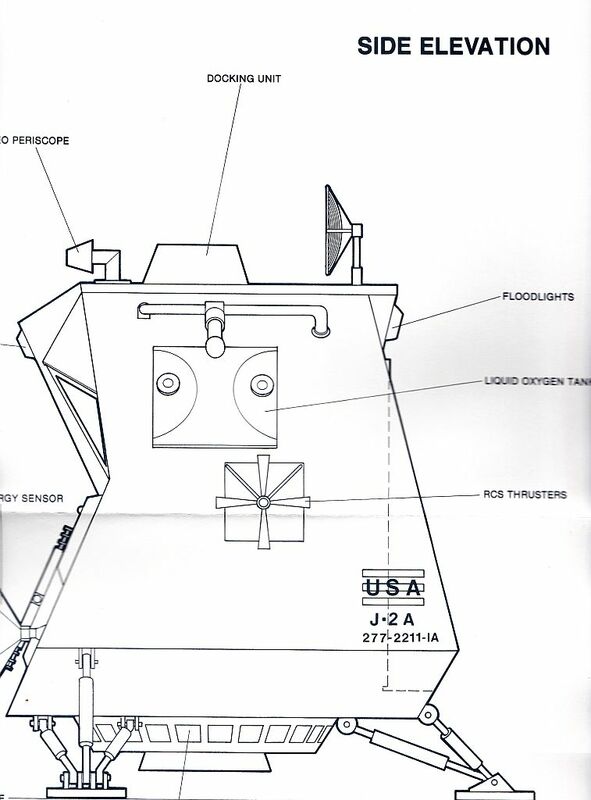 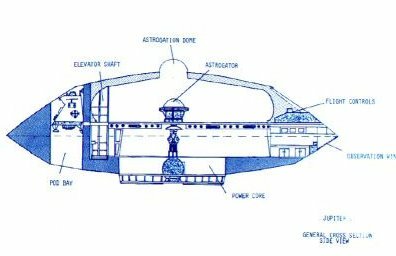 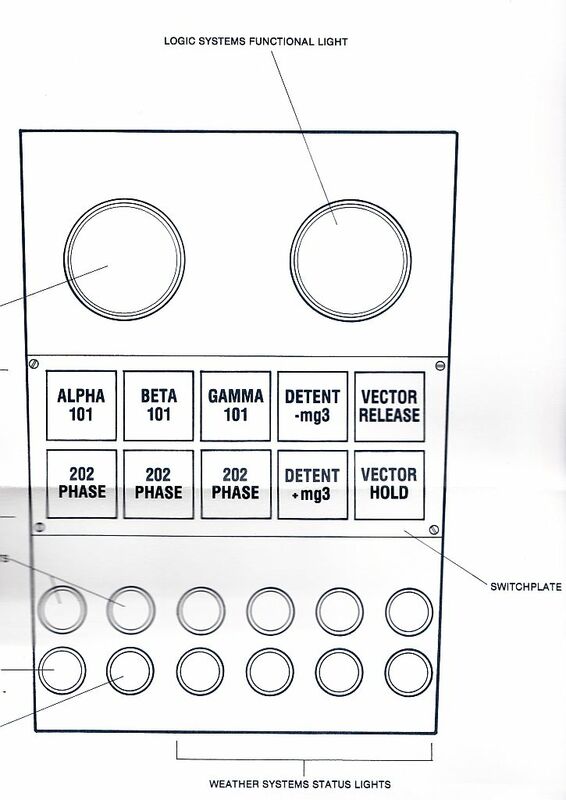 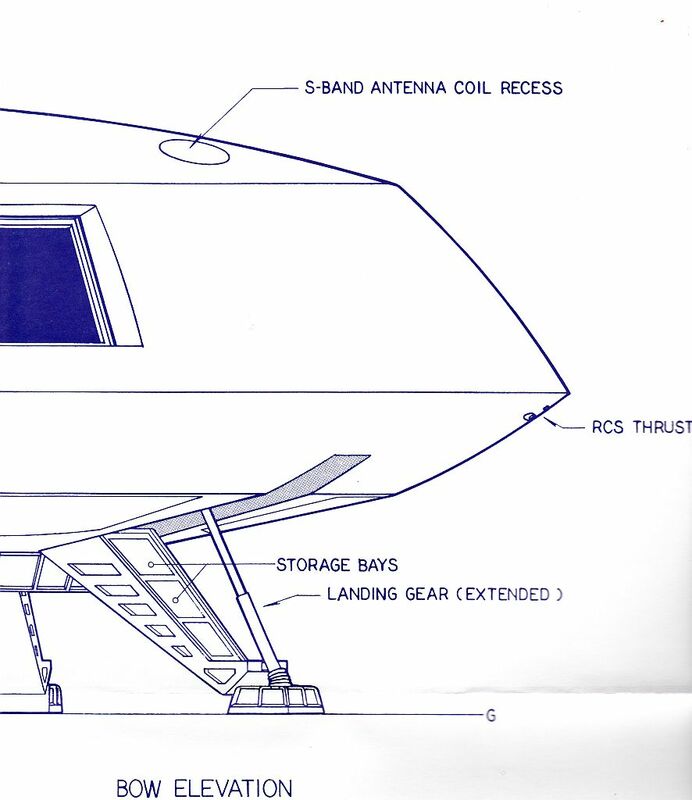 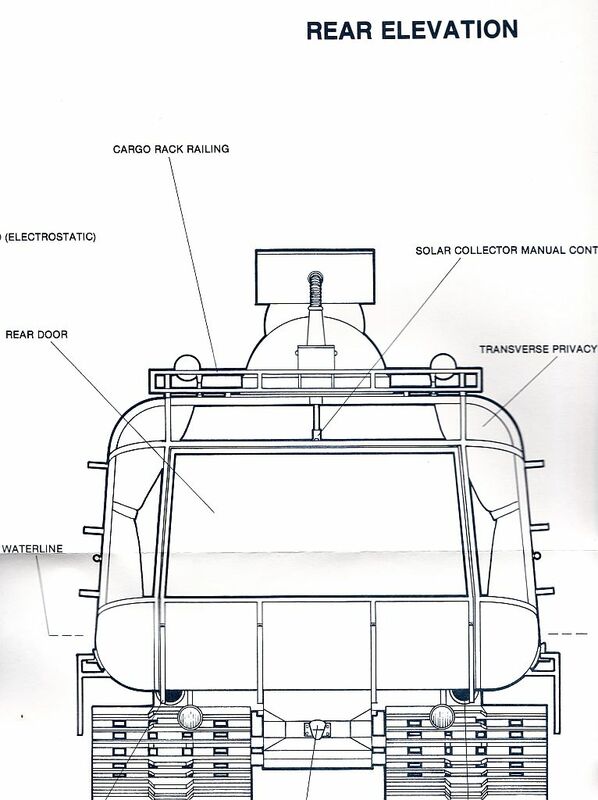 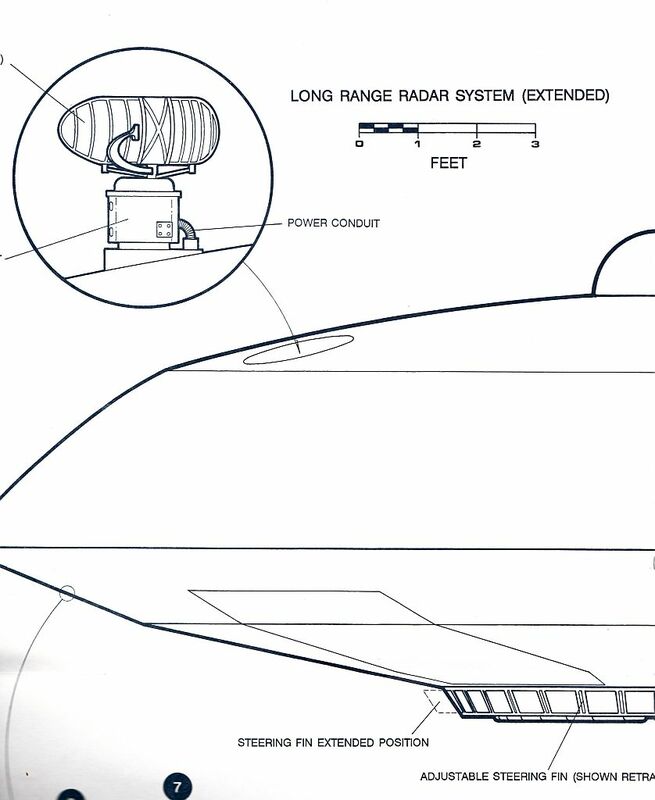 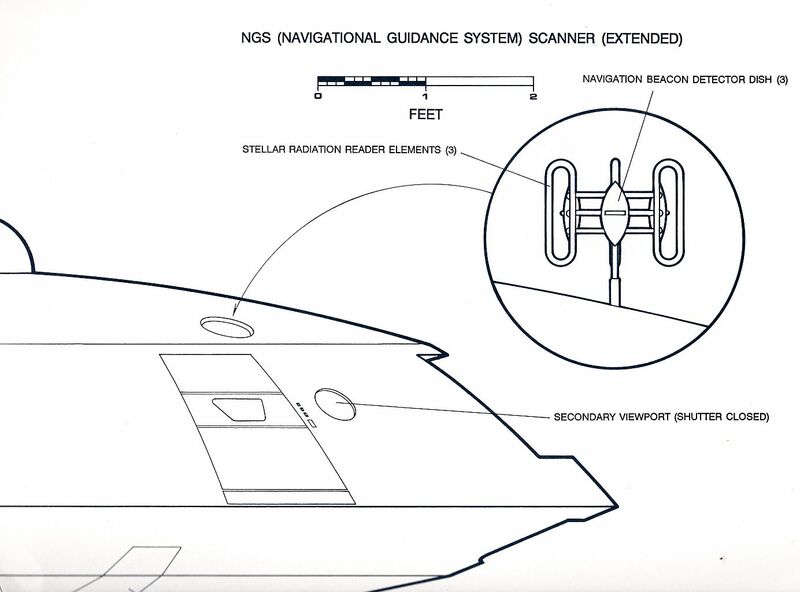 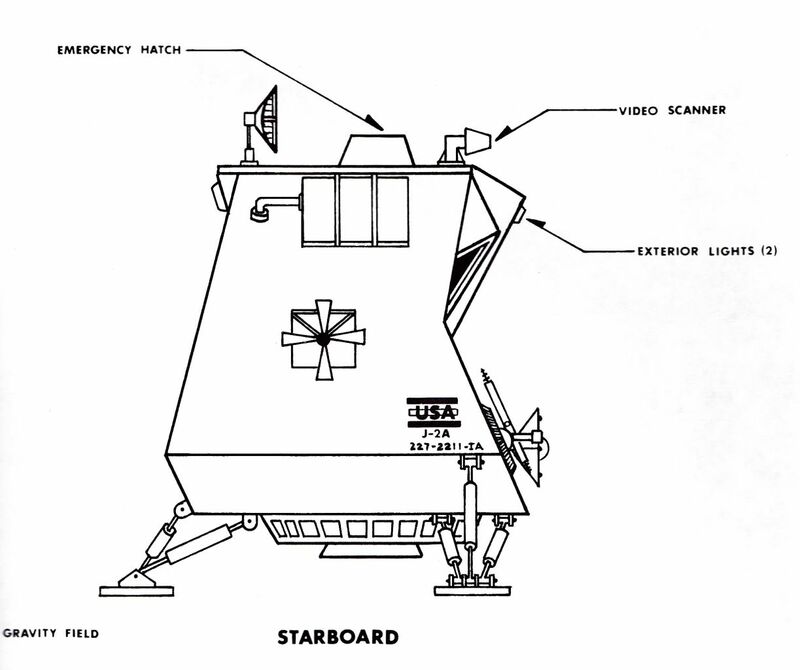 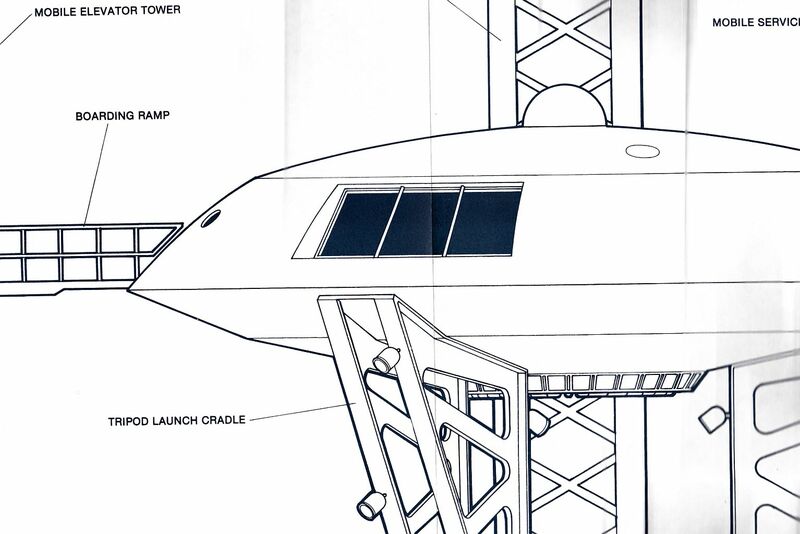 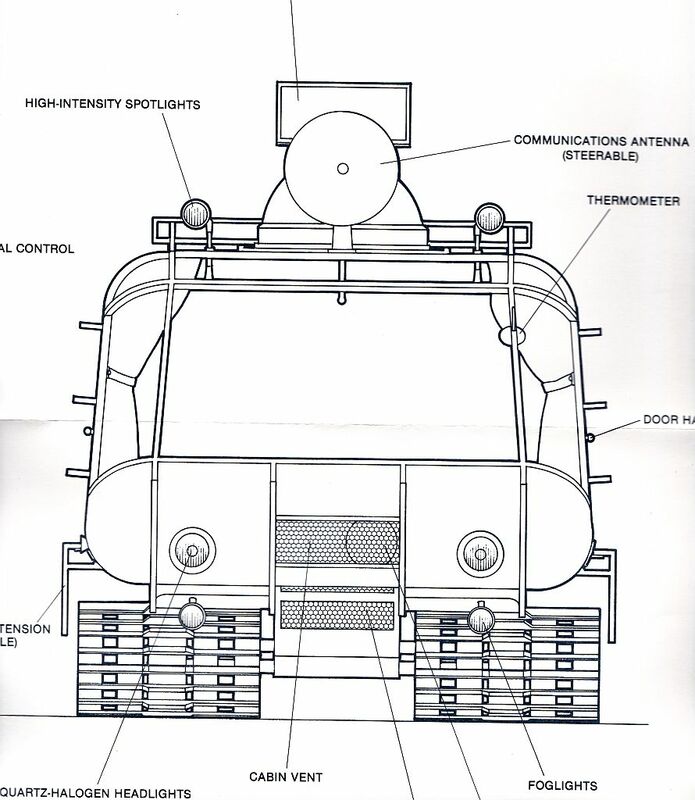 Volume Three consists of seven 18 x 24 large sheets that feature the B-9 Robot (front and side view), full scale B-9 control function panel detail, B-9 Bubble detail, Space Pod (interior and exterior views), Jupiter-2 Space Suit, Water Coversion Unit, and Drilling Rig. 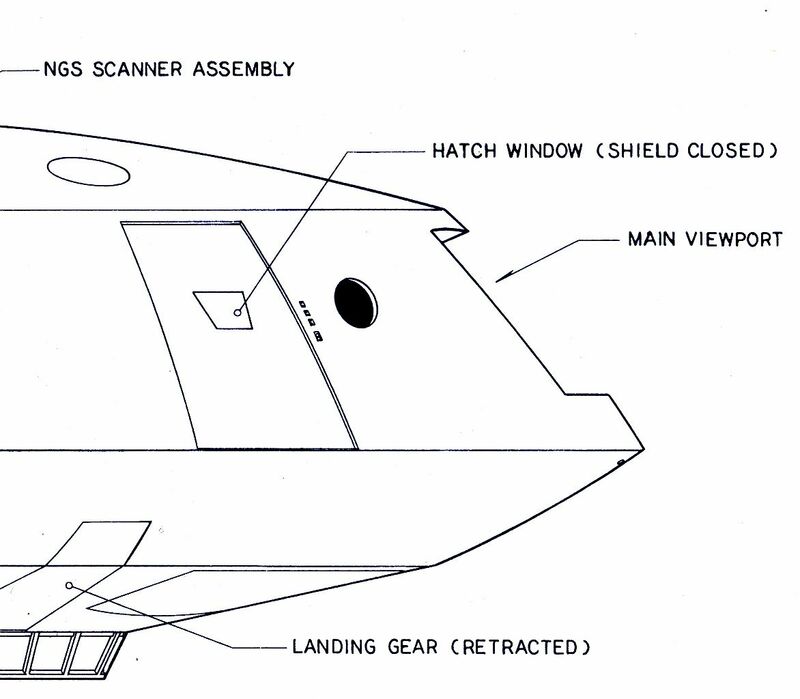 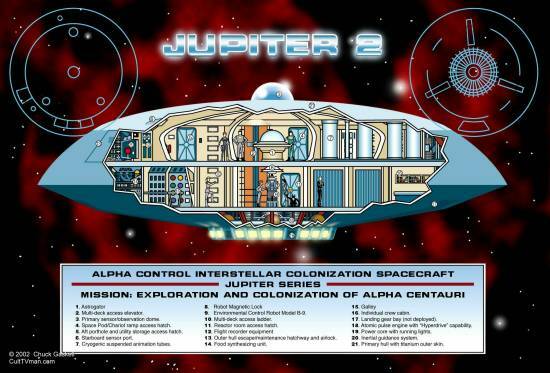 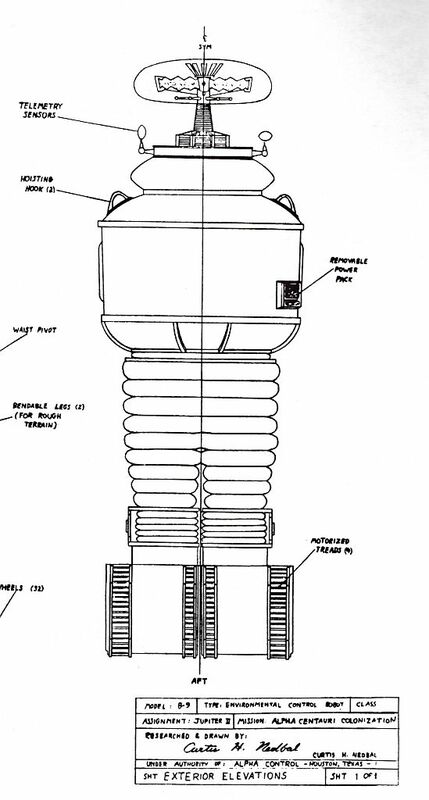 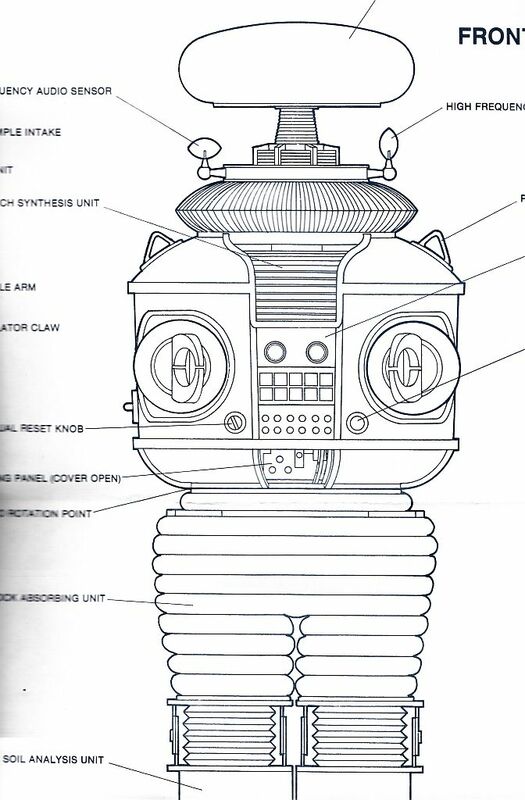 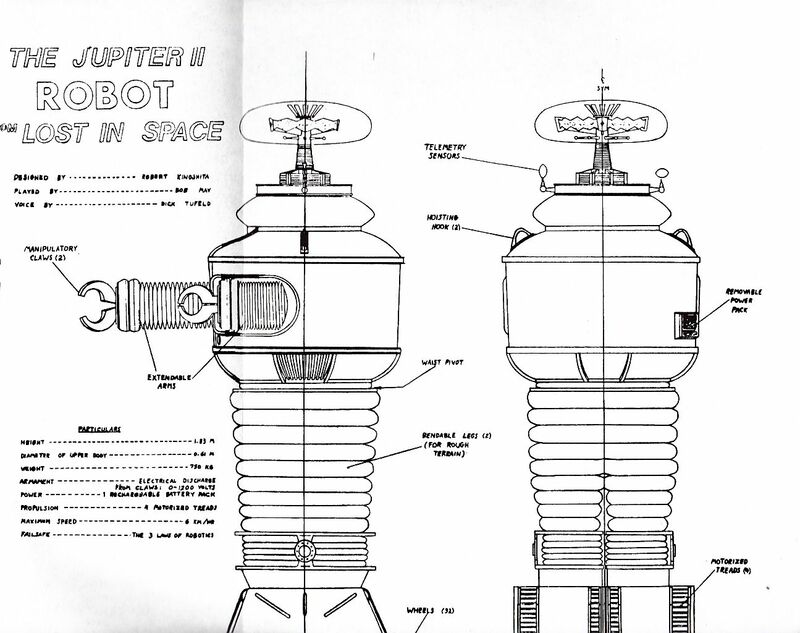 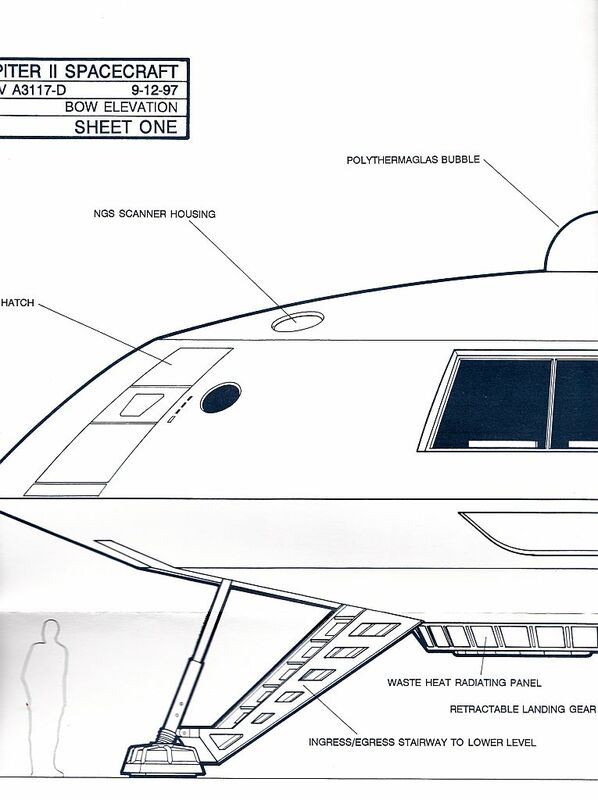 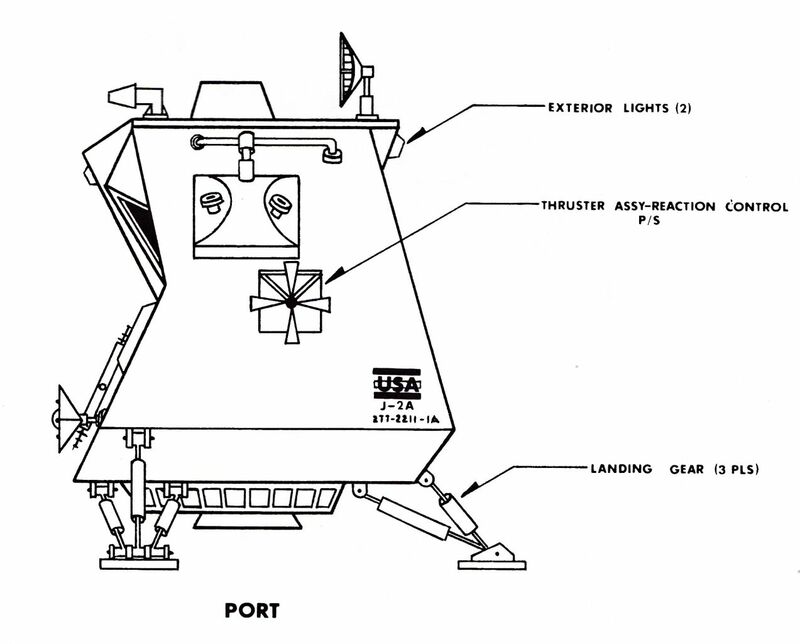 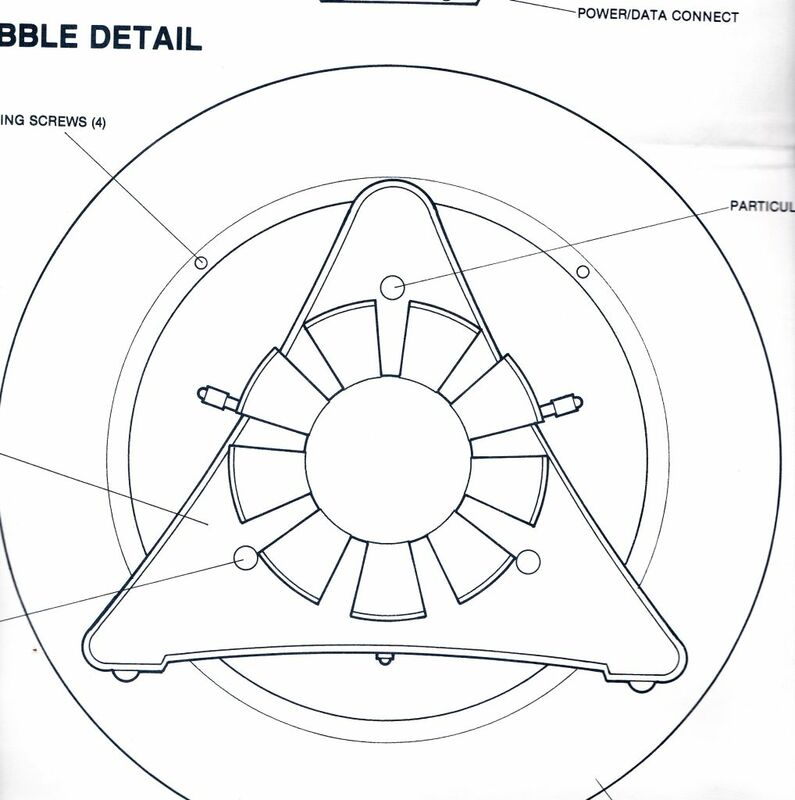 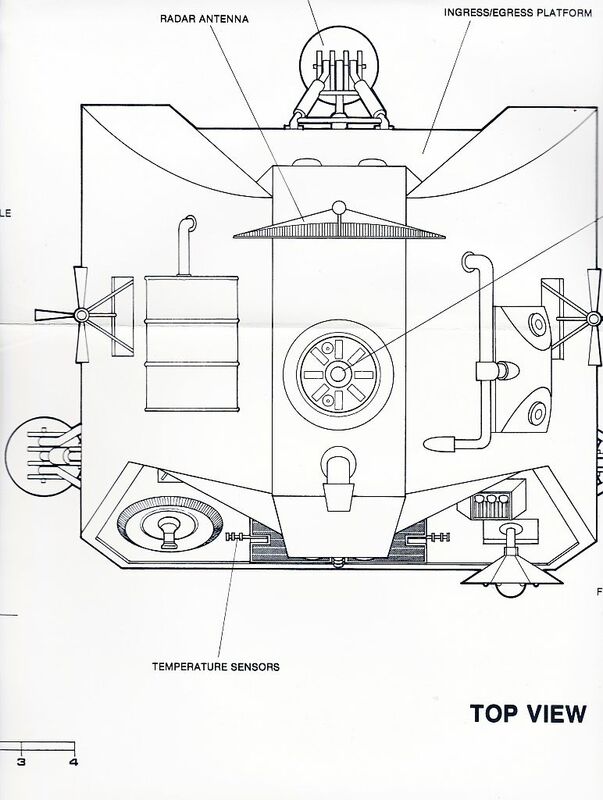 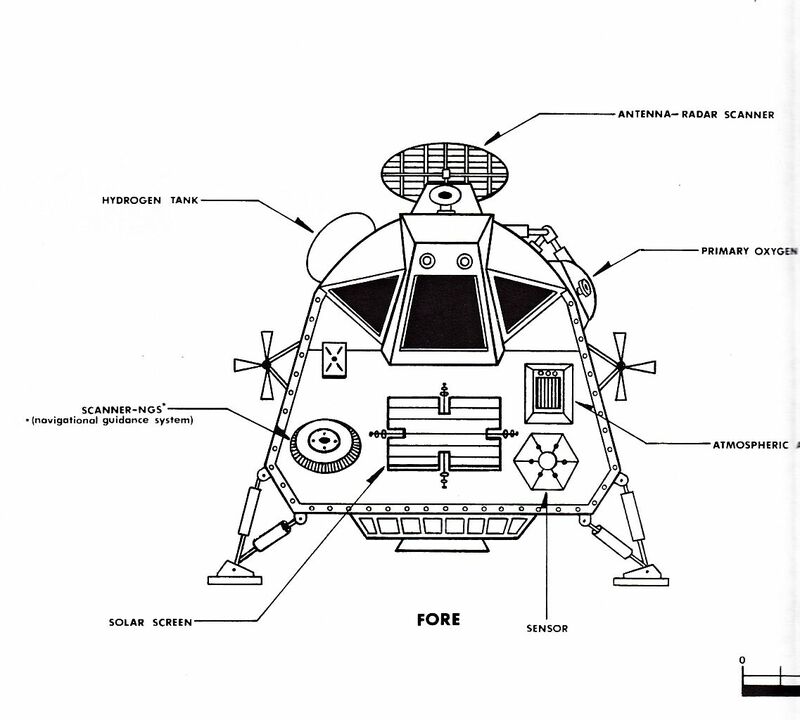 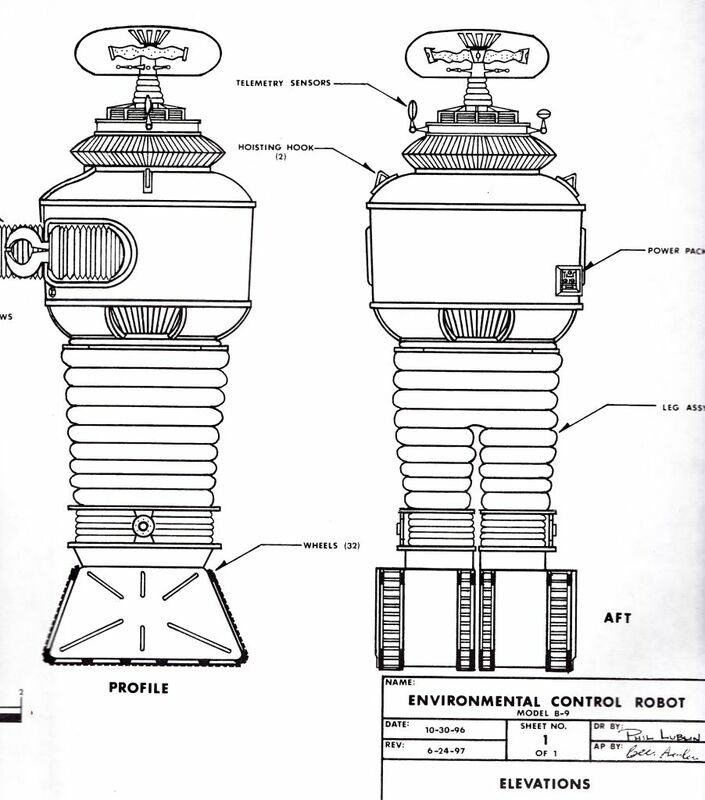 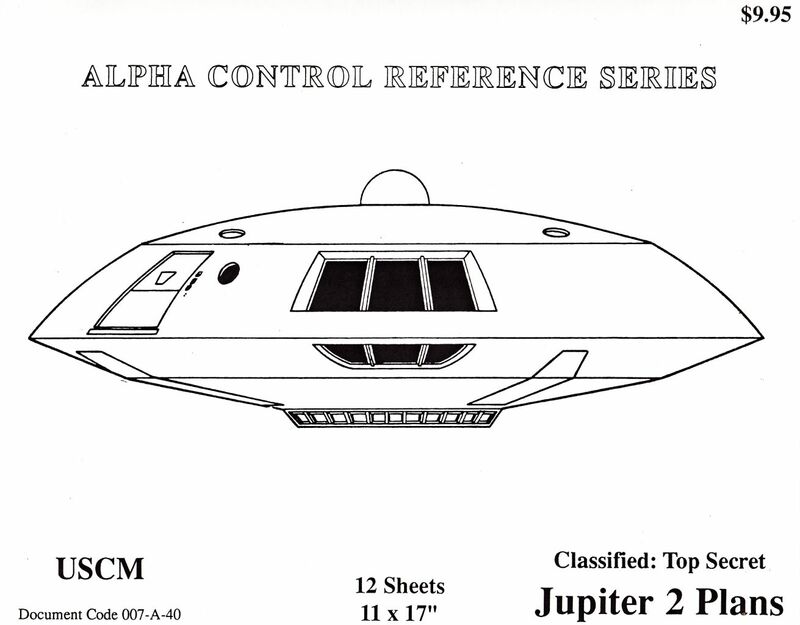 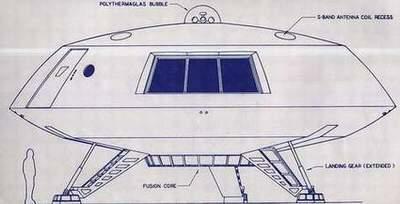 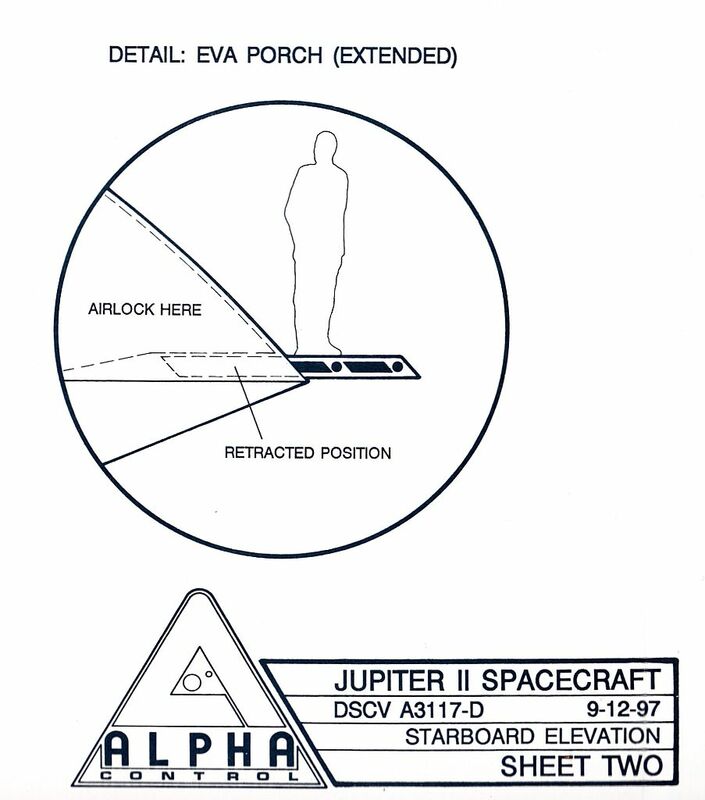 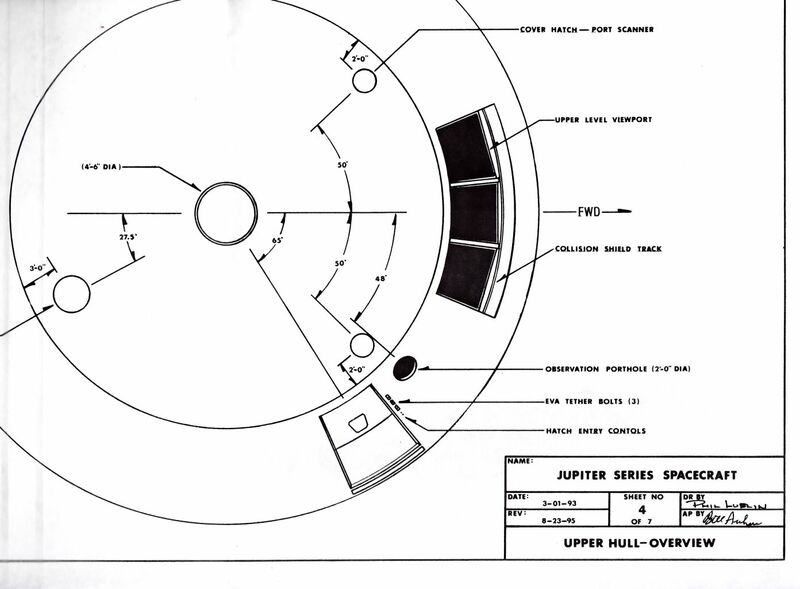 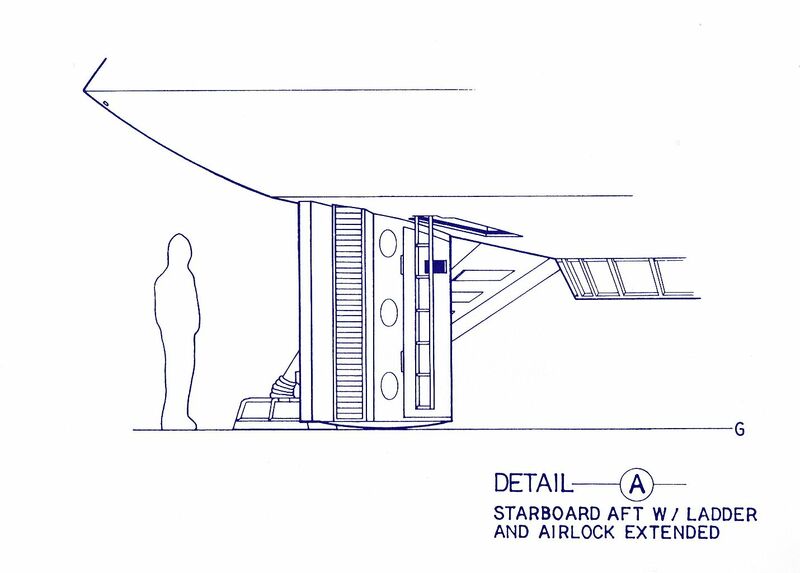 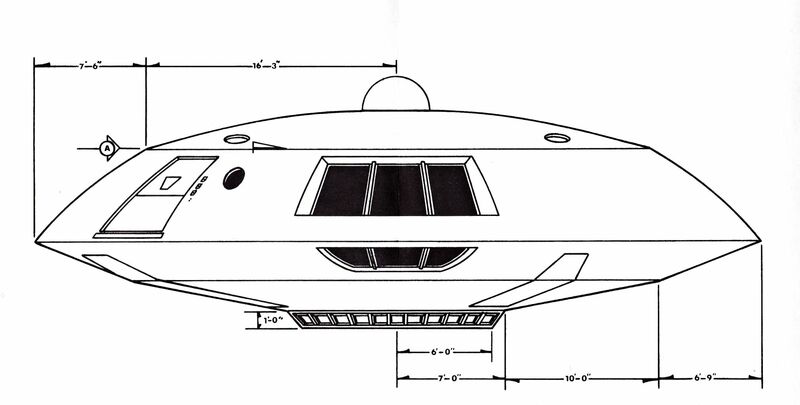 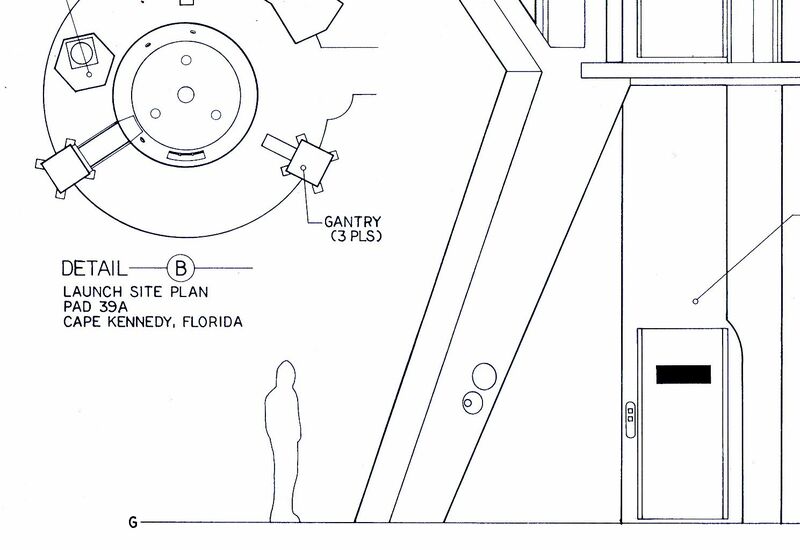 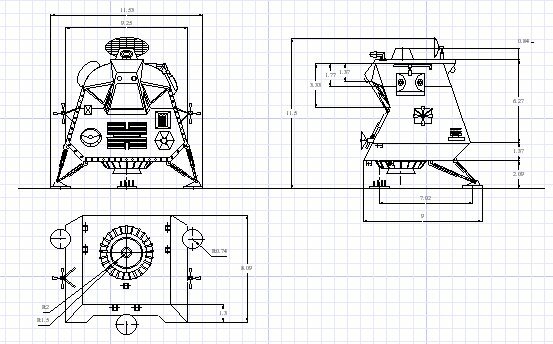 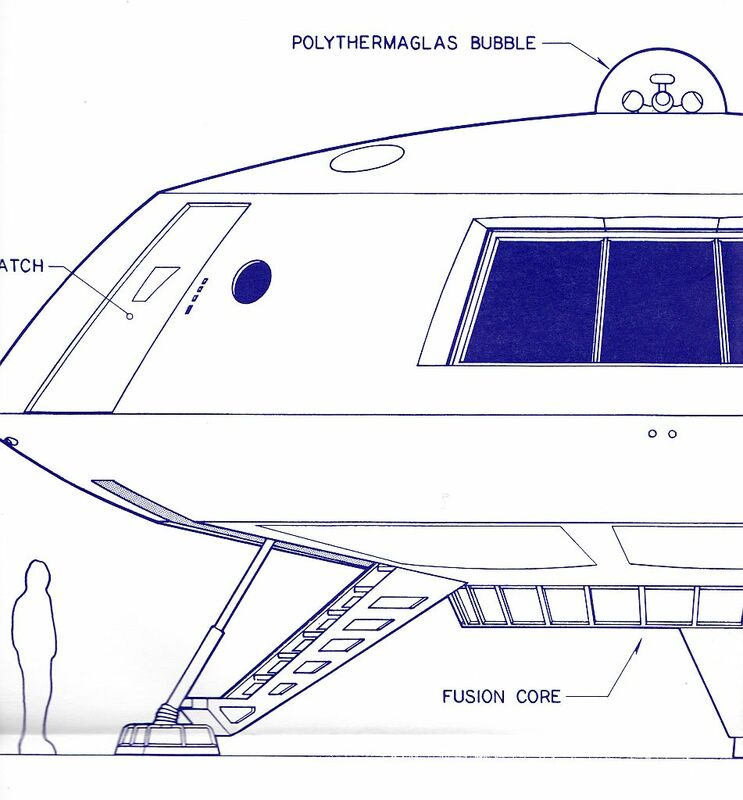 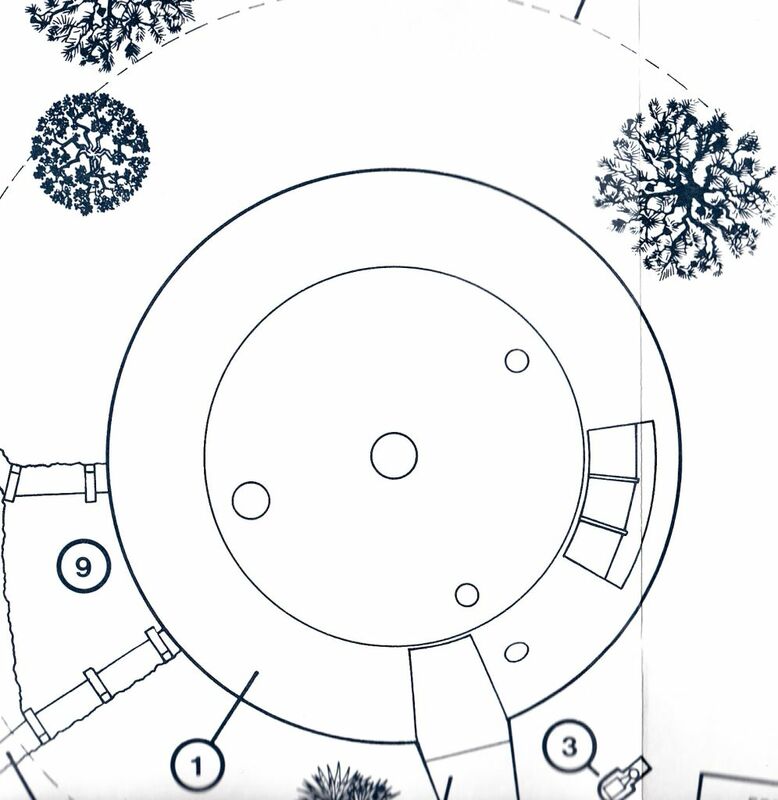 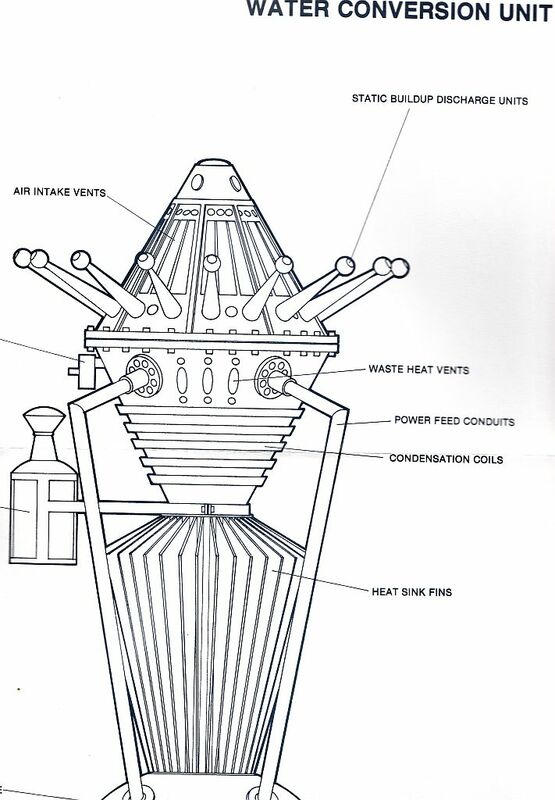 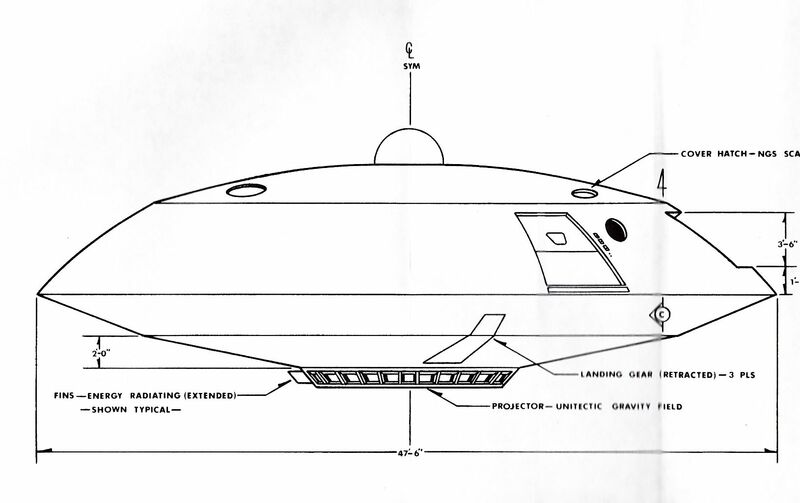 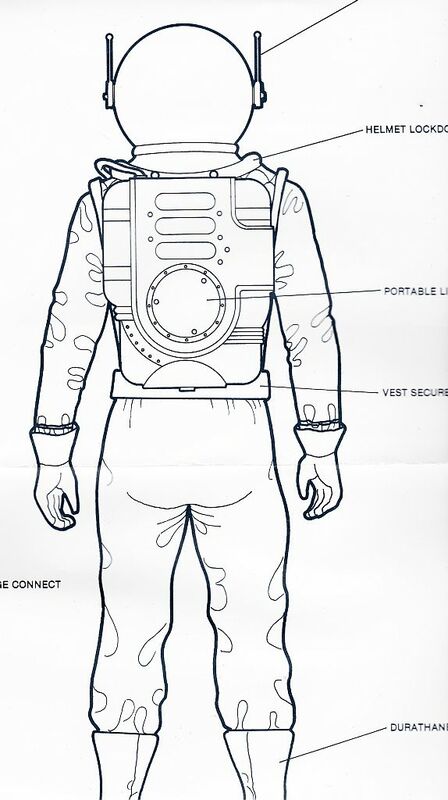 These Lost In Space Jupiter-2 Plans include ten 11 x 17 sheets featuring all aspects of the interior and exterior of the Jupiter-2 (7 sheets), the Robot (1 sheet), and the Spacepod (2 sheets).